The worldwide increasing numbers of vessel-whale collisions are a cause of concern. For a long time it was believed that collisions between cetaceans and sailing vessels were an exception. However, the worlds first study dealing with this issue – conducted by MEER. e.V. – showed that such collisions are not irregular at all. 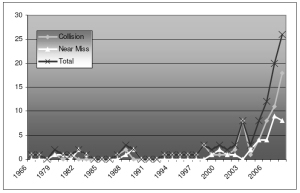 The study, the results of which were initially presented to the International Whaling Commission (IWC) in June 2009 and subsequently will be published in the IWC’s scientific journal, combined in-depth internet research with an international internet survey, where sailors could report and describe their experiences during collisions or near miss events. In this way, a total of 111 collision cases were collected, many more than expected. Collisions were reported for all oceans. However, the Atlantic Ocean (with the largest amount of sailing traffic and also where most regattas take place) accounted for the highest number of incidents. Some of the reports came from popular regattas and so called Ocean Races, i.e. events where fast and high-speed sailing vessels take part, which in turn are likely to increase collision risk. Most of the animals that were identified during a strike were humpback and sperm whales, but also blue, right, grey and beaked whales were hit. Some of these animals were seen to be heavily injured or even killed. However, in most cases the species could not be identified and observers were not able to judge the severity of an injury. There was a risk to be hurt also on the side of the sailors themselves, as many reported that their vessel came to an abrupt halt. In several cases, sailors were injured and regularly the vessel was badly damaged. In seven cases, the sailing vessel was lost, and three vessels sank after the collision. This highlights the potential danger to the life of a sailor. Hence, we are not dealing with nature conservation only, but an issue of safety at sea. Interestingly, many sailors hit whales at low speeds. Apparently, animals often do not recognize these vessels which do not produce a lot of sound. Sometimes whales even hit a ship from below while trying to reach the surface. Also, increasing background noise due to shipping traffic and other anthropogenic activities may play a crucial role. Finally, the inquisitive nature of many cetaceans at times makes them come closer before a collision happens. 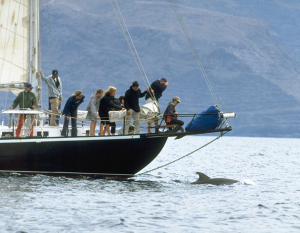 Whether a crew member or the animal will be hurt depends on a variety of factors. In some cases largewhales performed intense beats with their flukes or flippers and thus caused damage to a vessel, for example by bending or crashing the rudder. 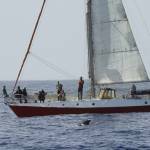 How can collisions between sailing vessels and whales be avoided? “This question is relatively simple to answer” says Fabian Ritter. “We recommend sailors to always keep a sharp lookout. 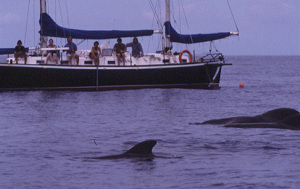 Most cetaceans were not seen before the collision. Therefore, increased vigilance is part of the solution, especially in areas of known high cetacean abundance and density. In those areas, a maximum speed of 10 knots is warranted. Even better is to completely avoid breeding or feeding areas or designated sanctuaries. But then of course, you have to know first where to expect dolphins and whales. Concerning regattas, another measure could be to shift routes away from important habitats (e.g. where the continental shelf drops to the deep sea). 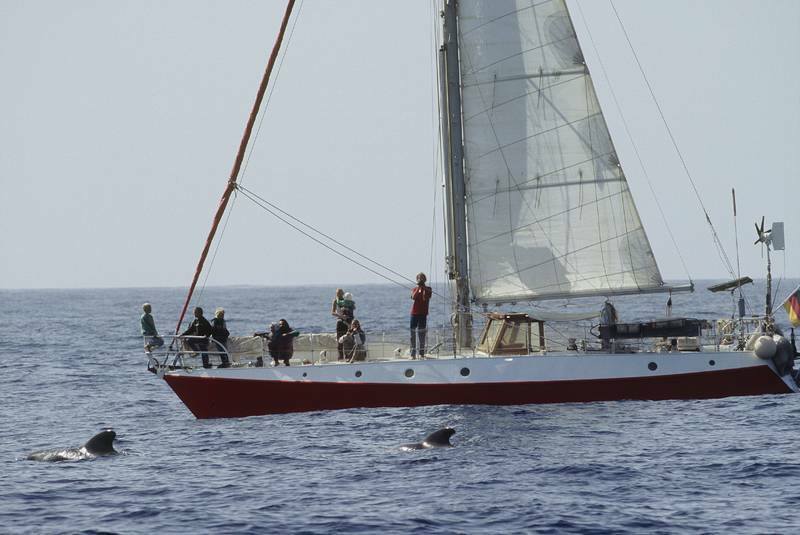 It is also thinkable to send out “scouts” just before the start of an Ocean Race starts to see if there are whales around.